The e-Sorter was developed to handle small items such as flats, garments, convenience goods, and poly bags. 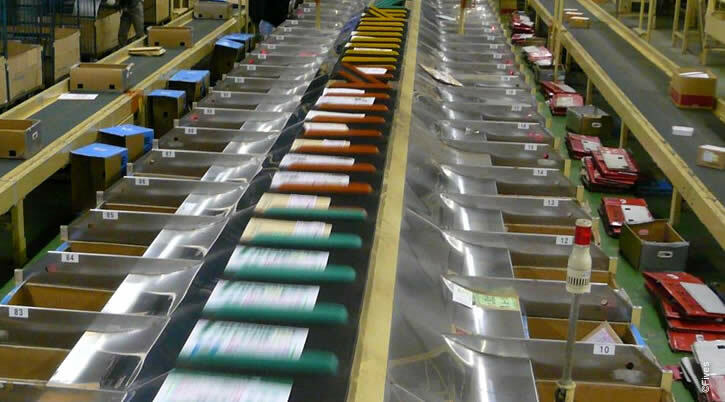 This over/under tilt-tray sorter was designed for the courier, postal and e-commerce markets that demanded a cost-effective, high-capacity sorting solution for small-item sortation. The e-Sorter features electric divert switches that result in a smooth and accurate divert action that meets capacities of up to 6,000 pieces per hour. 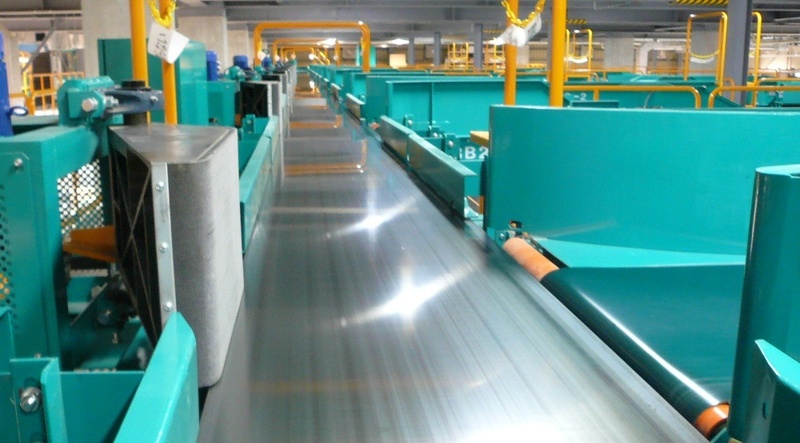 The typical e-Sorter application has an integrated manual loading feed belt that is synchronized with the tilt-tray for an accurate induction of items onto the tilt tray. The e-Sorter can be arranged in various configurations and is modular in design. 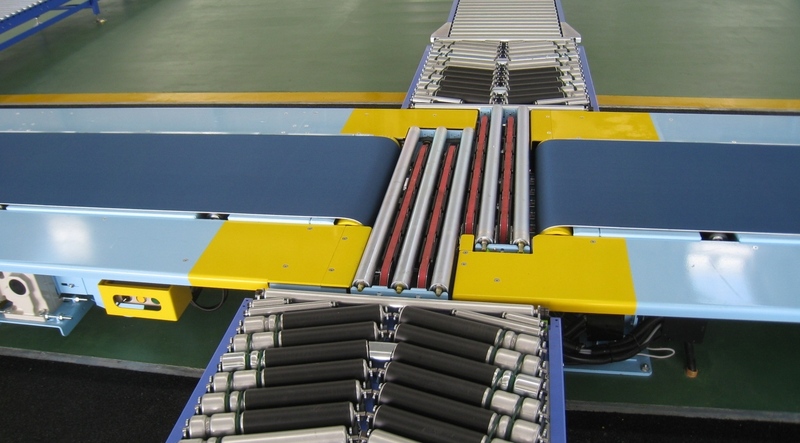 This sorter can be installed in a linear and narrow footprint. This allows the e-Sorter system to be customized to meet customer requirements in an efficient manner.